My favorite part of the Outdoor Retailer shows is checking out all of the new gear on display. I am, for better and for worse, a gear junkie and I love seeing all of the cool new product gear manufacturers are coming out with. Here is a selection of my favorite gear from this year's show. The 4-in-1 Woodsman™ converts to an axe and bow saw to help cut your way through a jungle of brush and tough limbs fast. 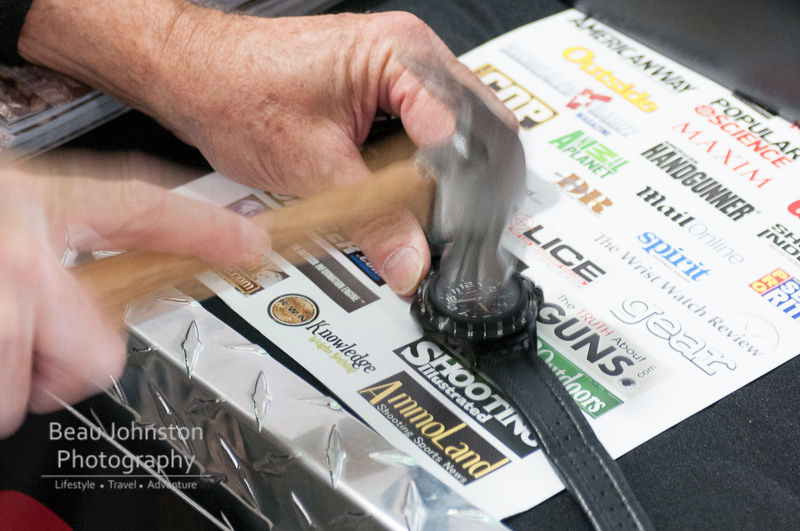 A mallet and stake puller helps you set up a pop-up blind and take it down with ease. Carry this product to your campsite and have a mallet, a stake puller, a 15" bow saw that cuts oak up to 4” in diameter, and a hatchet with a 5” blade. 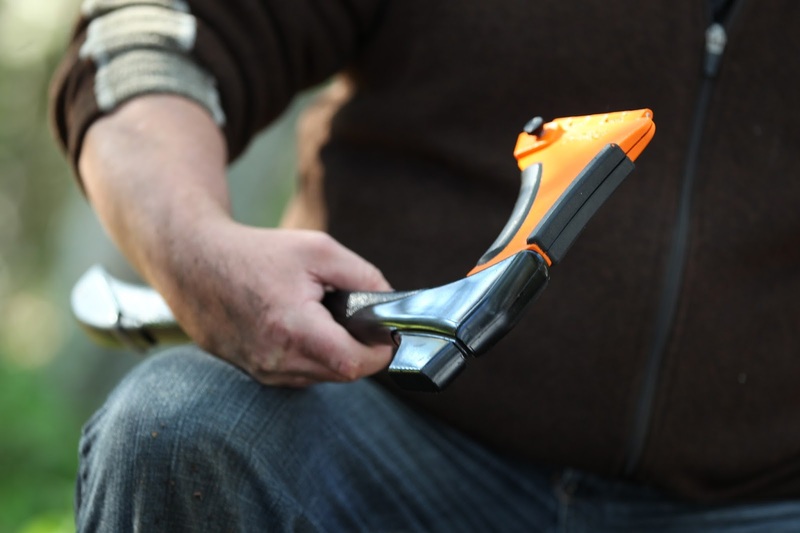 Call it a handy camping tool or a survival tool, no tool gives you more capability for the weight or the money. I love it when companies listen to their users and really innovate. 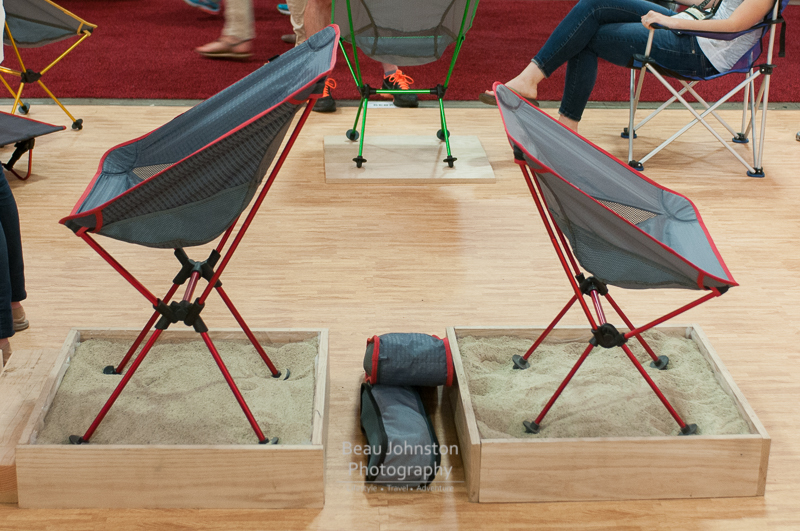 TravelChair did just that this year when they introduced two new ultralight camp chairs. We reviewed their Joey Chair earlier this year (Click here for the review), and we love the design, and were excited to see two new chairs from them, the Roo and Wallaby. BioLite is expanding their line of stoves with the new BaseCamp. 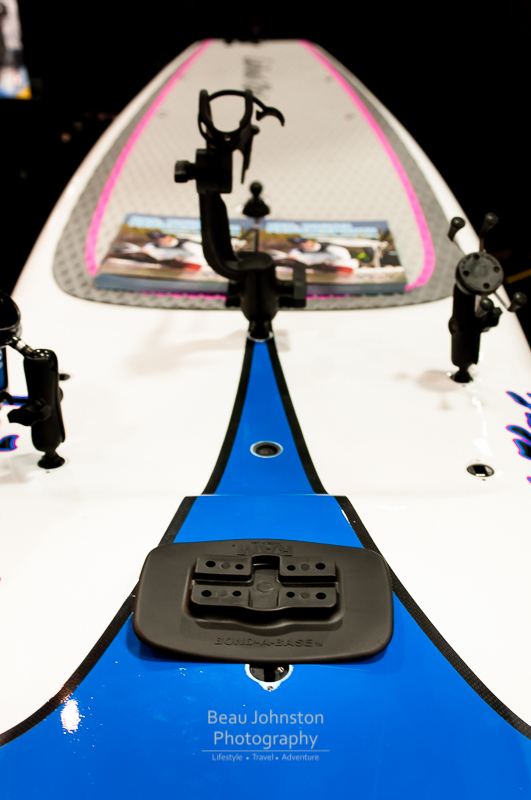 Do you have an inflatable SUP and want to mount some cameras or fishing gear but don't know how? RAM Mounting Systems is stepping up with their new flexible mounts that can be glued to the boards, or anything else you can find. We are excited to get a set for POV cameras on our board! For those of you with hard boards, RAM is also launching a new line of leash plug adapters that quickly convert most leash plugs into a ball mount. Why am I so fascinated by flashlights? I cannot seem to walk past a flashlight display without having to stop and check things out. This was true when I walked past, then turned around, walked back, and began chatting with the good folks at COAST. I was particularly interested in the new HP7R. 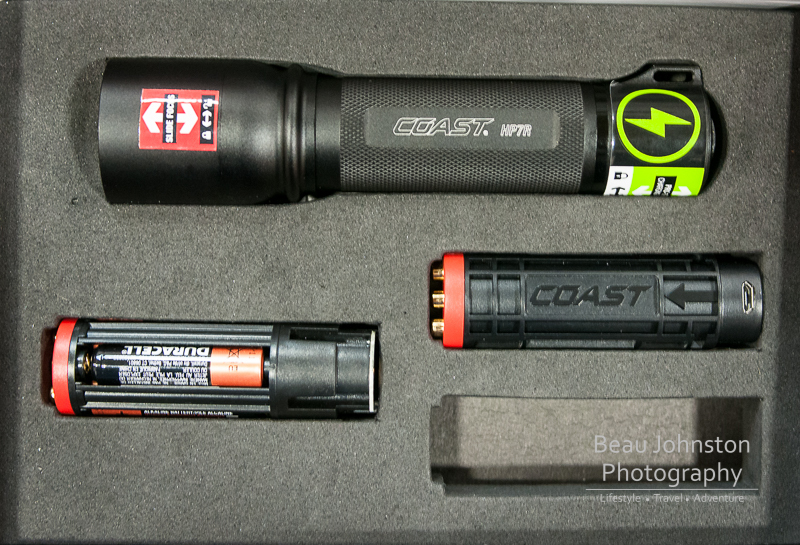 An update to their original HP7, the rechargeable version offers increased light output and the option of using standard alkaline batteries when the rechargeable battery cannot be charged. 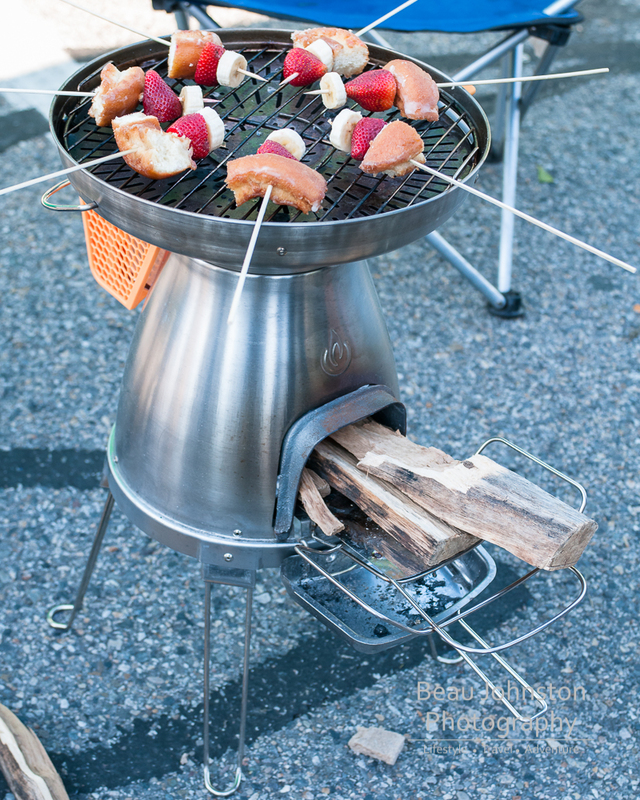 Big news from Camp Chef with the introduction of their new 'Stryker' line of camping stoves. Going after the super-efficient burner market (think JetBoil and Primus ETA) and car campers/backpackers only looking for one-burner stoves, the new Stryker will be available in spring 2015. 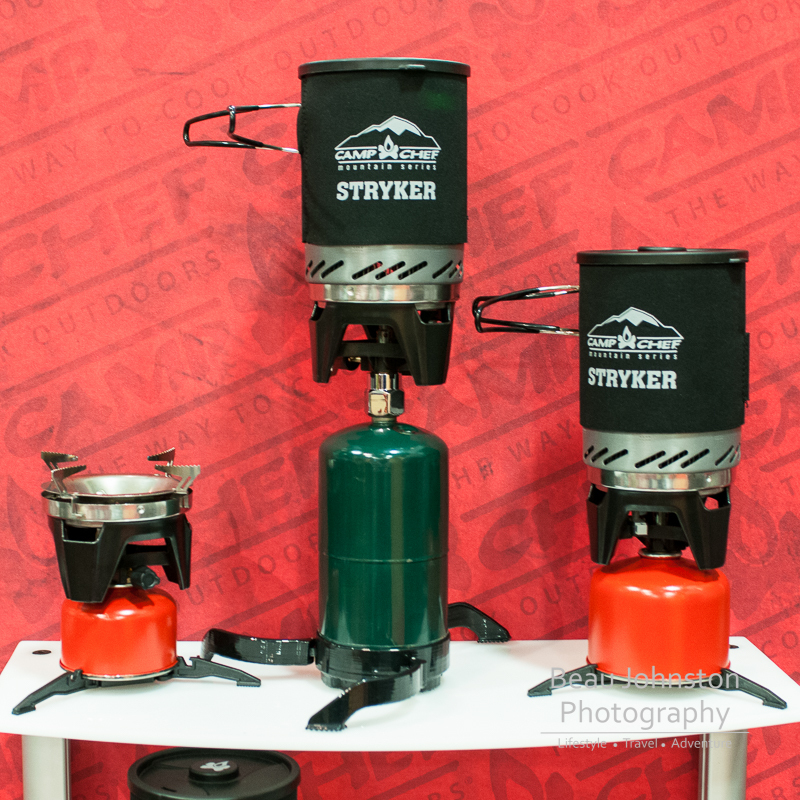 There will be three version of the Stryker stove; a propane, iso butane, and a version that can be configured to run on both propane and iso butane. I would, if I were you, avoid hitting your watch with a hammer but that is just what the folks at ArmourLite did to one of their Isobrite watches. Ashley, ArmourLite's CEO, just took off his watch and started hitting the crystal with a hammer, and not just once. Ashley hit his watch several times and with a great deal of force. Now I know most of us won't be going out and buying a watch just because it can take an impact like this, but what if we did? I mean, I have ruined several the glass on several watches because, as I am hiking, my arm bumps up against rocks. To say the ArmourLite watch crystal is scratch and impact resistant would be an understatement! 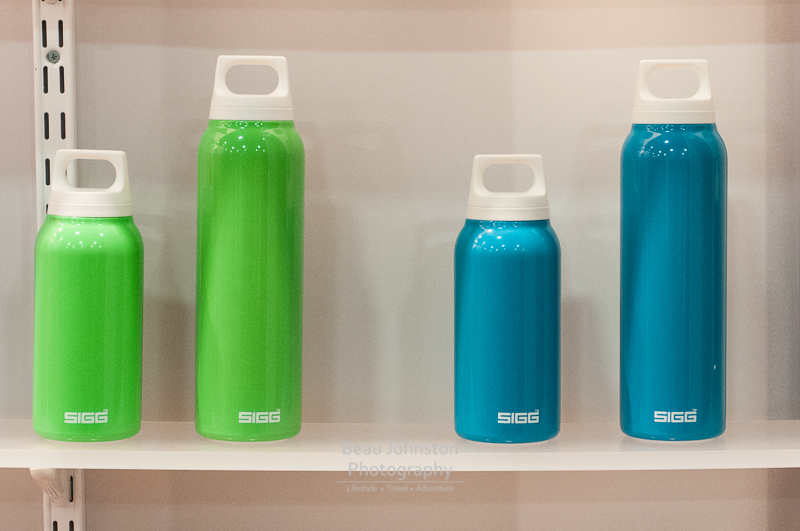 Introduced at last year's Outdoor Retailer Summer Market, SIGG's Thermo line has been a huge success. Originally only offered in Gun Metal and White, SIGG decided to introduce two more colors. I love my .3L Thermo, which is the perfect size to make tea first thing in the morning. GSI Outdoors will be introducing their newly updated 'Party' line later this fall. They have completely redesigned their line of wine glasses, now offering a glass for red wine, and beer pints. We are especially interested in their new stainless pints which feature some great exterior colors and nest into a small footprint. 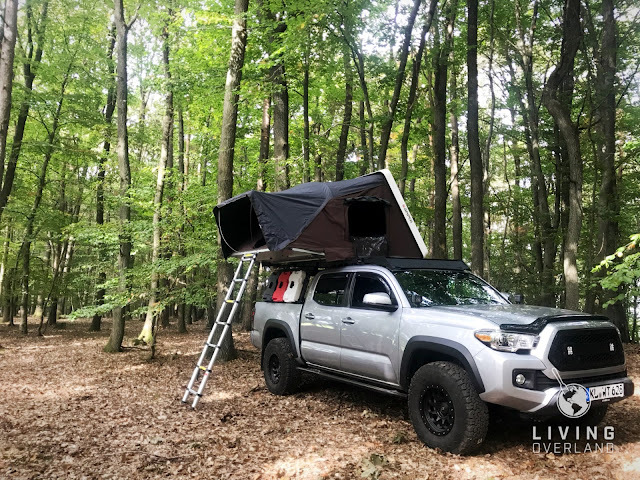 These things are perfect for any outing. The updated 'Party' line will be available later this fall (look for these beauties to be in the TCT Holiday Gear Guide). 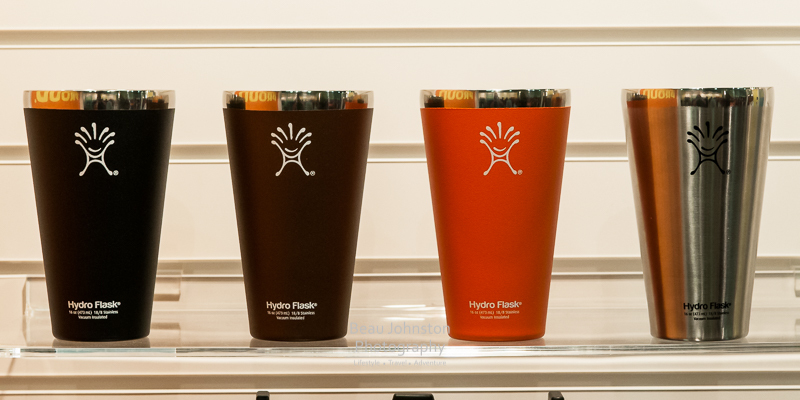 Known for their vacuum insulated bottles, Hydro Flask will be launching their new vacuum insulated pint glasses in early 2015 and retail for $21.99(ea). The Hydro Flask vacuum insulated pint delivers to beer lovers a refreshing new way to enjoy their chilled beverage the way it was meant to be served. The double wall vacuum insulated pint keeps beer cold while the lip is designed to mimic the drinking experience of a glass pint. 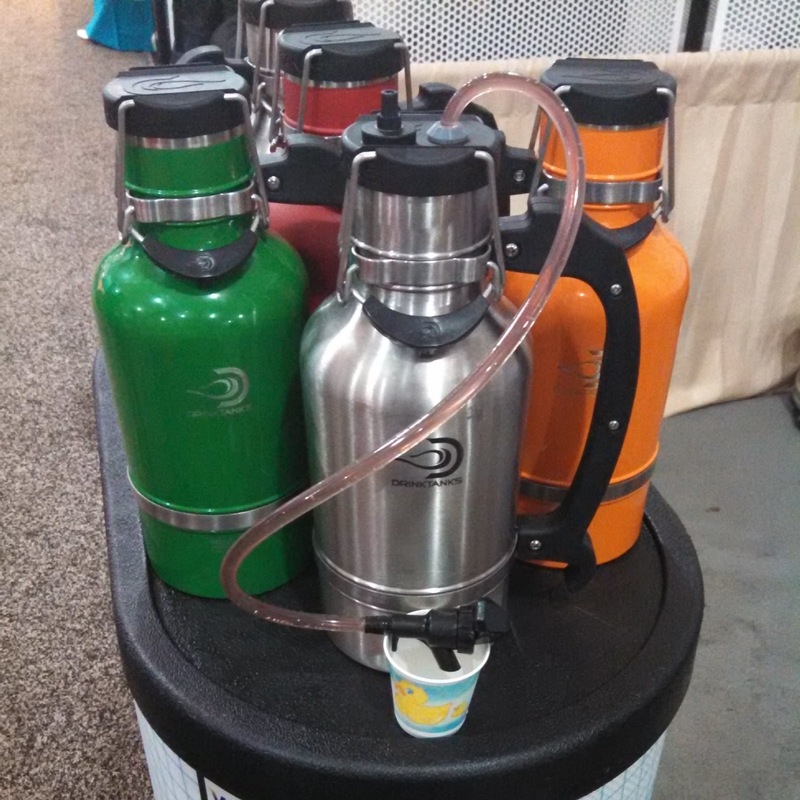 DrinkTanks, a new start-up bottle company, was on hand to demonstrate their stainless steel 64floz growler. Drink Tanks stainless steel growlers are cast from high quality 18/8 stainless steel and do not sweat due to a double wall vacuum insulation design. 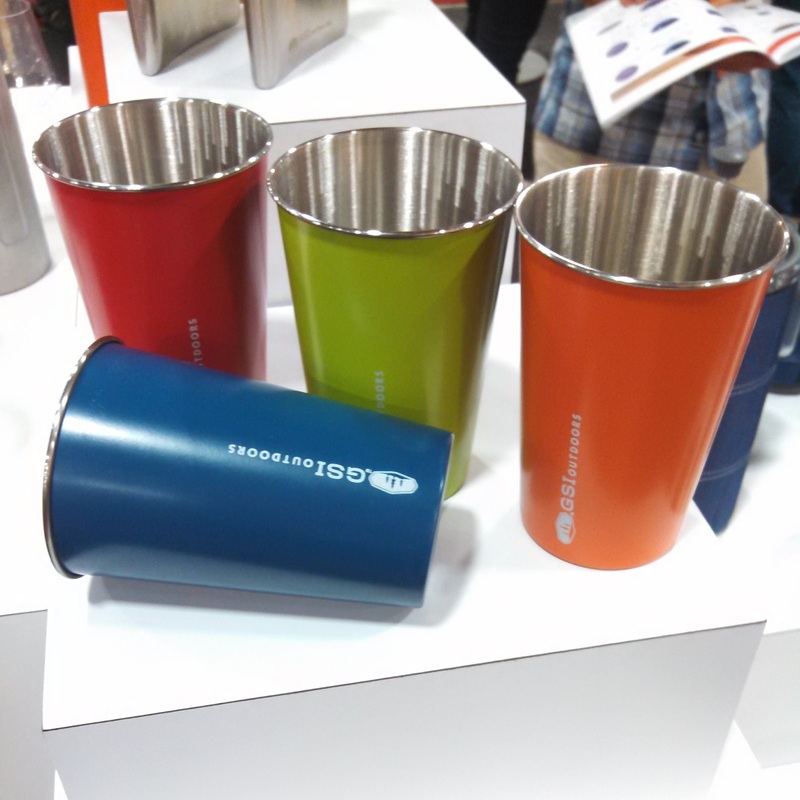 The BPA free poly lid is secured by a sturdy double bail locking system that keeps your beer fresh for up to 24 hours. Create a unique and sustainable method to preserve the life of your beer in the DrinkTanks™ Growler. 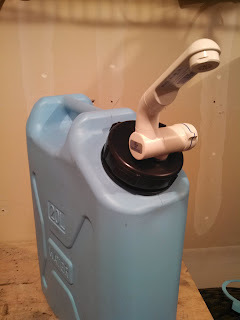 Devise a method to dispense beer without opening the Growler. The growler retails for $69 and the Keg Cap retails for $45 at www.drinktanks.com.